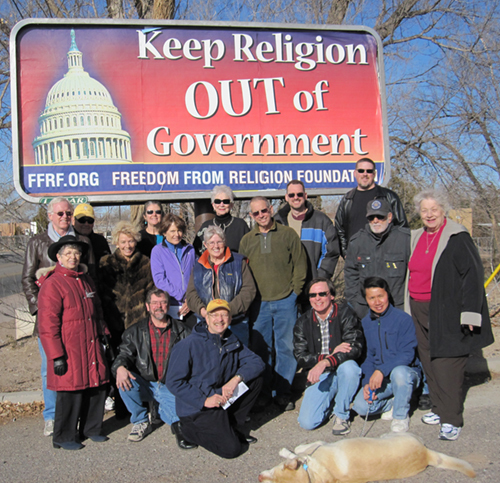 FFRF chapters are created for the purpose of providing local activities for area FFRF members, as well as to further FFRF's purposes of educating about nontheism and protecting the separation between church and state at the local level. Under FFRF bylaws, all members of FFRF chapters must be members of the national Freedom From Religion Foundation. FFRF rebates dues to chapters, so your national membership supports local chapter work. If you are not already a member of the national Foundation, join here. Meetings are social and informal, most members go out for lunch afterwards. Meetings held most months on the second Monday of the month. Check the Meetup page for details and location. Bi-monthly meetings held 3rd Wednesday of alternate months beginning in January, 6:00 PM at Earth Fare (10903 Parkside Dr, Knoxville, TN 37934).